My first thought was that the photo is taken under the balcony area in the Maple room but looking at other photos I'm not really sure. I see no connection. 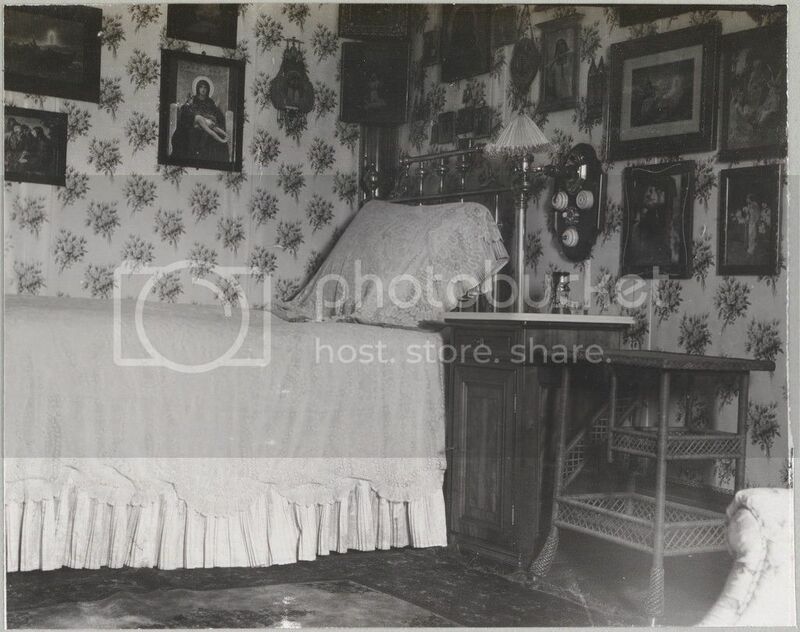 I have it cataloged as "Empress Alexandra in the Mauve Boudoir of Alexander Palace, Tsarskoe Selo, 1909." I don't remember where that description came from but it has always been a reliable source in the past. I had a second look, and I don't think it can be the Mauve Boudoir. The empress's boudoir had striped fabric on the walls, and very light woodwork. The room in question has solid-colored walls and very dark paneling. You're quite right. The photo is rather dark and I couldn't really ID the room myself. I was going by the description from a formerly reliable source whose name I can't even remember right now.